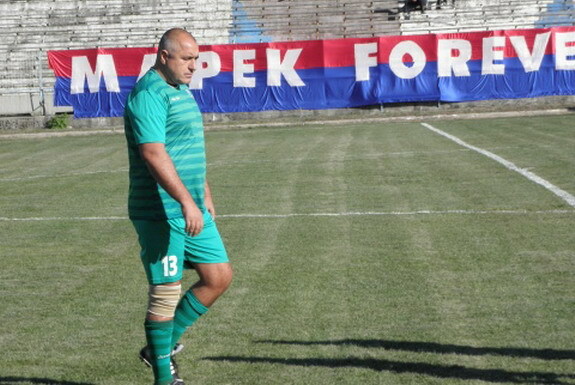 Former Prime Minister Boyko Borisov made his professional football debut on Sunday as Vitosha Bistritsa played out a goalless draw against Rakovski in Bulgaria's second-tier league. At 54 years, two months and 12 days, Borisov made history by becoming the oldest player to appear for a Bulgarian professional club. Wearing number 13, Borisov was cheered by the crowd every time he touched the ball during his 54 minutes of action. Borisov, who resigned from government in February during nationwide protests in the EU's poorest country, had already played amateur football for the club before they secured a berth in the second division this season. After struggling from a string of hypertension crisis in early 2012, Borisov was warned by his doctors to abstain from sports, but was reported to be in excellent health now. Known to be a big fan of sports, the former political supremo is also a karate professional and an avid tennis lover.